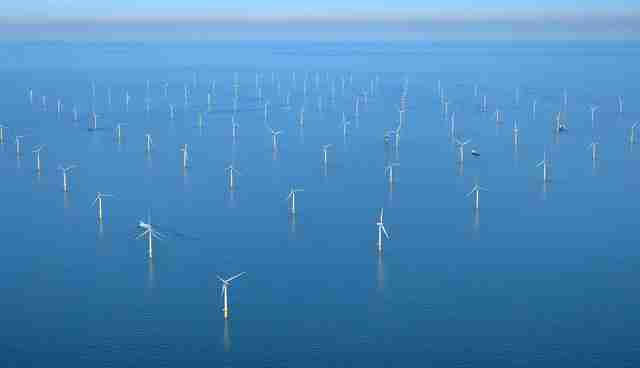 When looking for food, a few crafty seals have begun to forage between the bases of offshore wind turbines. 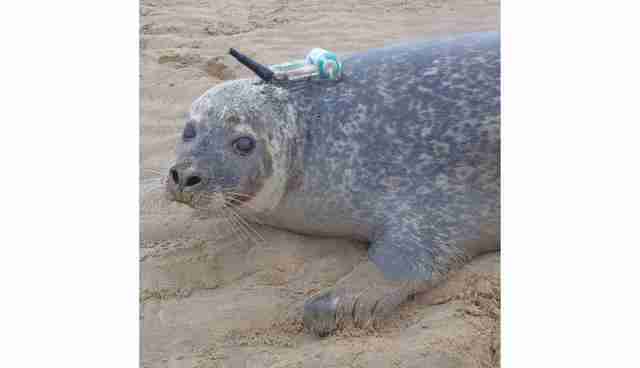 British, Dutch and American marine biologists tracked grey and harbor seals using GPS collars, and discovered a few of the apex predators would cruise along the bottoms of wind farms in search of fish and crustaceans. "I was shocked when I first saw the stunning grid pattern of a seal track [through a wind farm]," says University of St Andrews marine biologist Deborah Russell, in a press release. "You could see that the individual appeared to travel in straight lines between turbines, as if he was checking them out for potential prey and then stopping to forage at certain ones." As long as humans have been sinking ships, coral and other marine animals have been turning man-made structures into underwater homes. To hungry seals, wind farms offer a new, if currently underused, avenue for foraging. 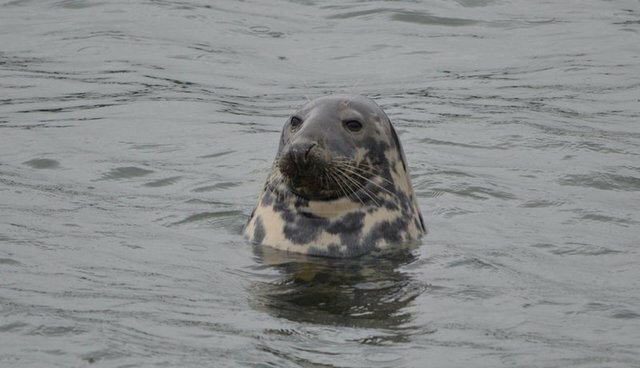 In one group of seals, only four of 96 animals hunted through the wind turbines, and seven out of 22 in another set, according to the study which was recently published in Current Biology. Seals that swam through the farms adopted "grid-like patterns of movements as they concentrated their activity at individual turbines," Russell says. The scientists believe that this grid pattern indicates the seals are foraging, and they believe this behavior may increase as artificial reefs establish along the turbines' anchors. "Operational wind farms can provide foraging opportunities for some individuals," Russell says, though she pointed out that, during construction, wind farms can have negative effects on ocean life. But as new turbines sprout up offshore, they "could be designed to maximise any potential ecological benefits to marine wildlife."